If you have been charged with DUI in North Carolina, it is likely that you submitted to some form of chemical analysis. Generally, with regard to DUI investigations, a chemical analysis is a test of your breath or blood. These tests are conducted to determine your alcohol concentration or for the presence of some other form of impairing substance in your system, such as marijuana, cocaine, or even prescription medication. Ultimately, during your DUI trial the State will attempt to use the results of your breath or blood test to convict you of DUI. As is often the case, the State will even attempt to use these results without having the chemical analyst – the person who conducted the breath or breath test – present at your trial. This article will focus on just that; that is (i) your right to confront the chemical analyst who conducted your breath or blood test at your DUI trial; (ii) how the State can admit your breath or blood test results without the chemical analyst present; and (iii) how to preserve your right to confront the chemical analyst. Before getting into the meat of this article, it is important for you to understand who the chemical analyst in your DUI case is. As mentioned above, a chemical analysis is a test of your breath or blood. In a DUI case, these tests are performed to determine your alcohol concentration. The chemical analyst is the person who conducts the chemical analysis, or the person who runs the tests that determine your alcohol concentration. The chemical analyst will differ depending on if you had a breath test or blood test. If you submitted to a breath test, the chemical analyst is generally the police officer who administered your breath test. However, if a blood test was conducted, the chemical analyst will be the individual working in the crime lab who tested your blood for an impairing substance. With that, let’s take a look at the law that gives you the right to confront the chemical analyst during your DUI trial. The Sixth Amendment of the United States Constitution states, “In all criminal prosecutions, the accused shall enjoy the right…to be confronted with the witnesses against him.” This has become known as the Confrontation Clause. The Fourteenth Amendment makes the Sixth Amendment’s Confrontation Clause applicable to all criminal prosecutions in North Carolina, including those for DUI trials. The United States Supreme Court’s decision in Crawford v. Washington defined the meaning of the Confrontation Clause with much greater particularity. 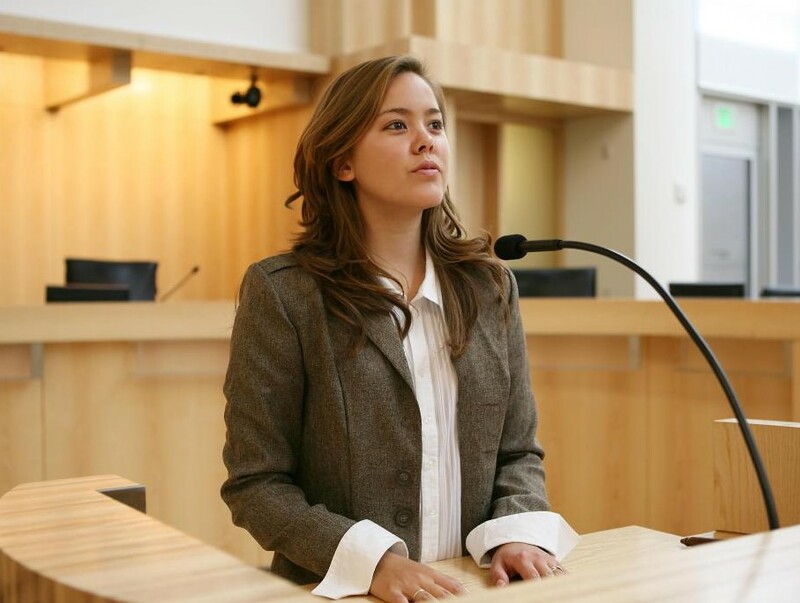 The general rule from Crawford is that testimonial statements by witnesses who are not subject to cross-examination at trail may not be admitted at the defendant’s trial. In its simplest form, this typically means that if the State wants to introduce evidence against you at your criminal trial, the witness who has personal, firsthand knowledge of that evidence must be the person to testify about it. Additionally, you must be given the opportunity to ask that witness questions about the evidence he or she testifies about. Let’s take a look at how this generally plays out with the chemical analyst in your North Carolina DUI trial. To start, the results of your breath or blood test are the most important piece of evidence that the State can obtain against you in a DUI case. If the results of such testing are 0.08 or greater, North Carolina’s laws automatically allow a judge or jury to find that you were impaired. As such, the State will take all necessary measures to get the results of your breath or blood test admitted into evidence at your DUI trial. However, because of the Confrontation Clause discussed above, the State will generally have to have the chemical analyst who performed your breath or blood test present at your trial in order to get the results of such testing admitted into evidence. If the chemical analyst is not present, the State is typically not permitted to admit the results of your alcohol concentration into evidence. This is because the chemical analyst is the person who has the personal, firsthand knowledge of the test results; thus, the person who you have the right to cross-examine at your DUI trial regarding the test results. Nevertheless, as with most individual rights afforded to you under law, the Confrontation Clause is not an absolute right. This means that not only are there exceptions to your right to confront witnesses against you, but it is also possible for you to waive, or give up, this right without you even knowing it. The next section of this article will look at just that. Despite your right to confront witnesses against you at your DUI trial, North Carolina General Statute (N.C.G.S.) 20-139.1 gives the State a way to introduce the alcohol concentration results from your breath or blood test without having the chemical analyst who performed the test present at your trial. Below we will examine what the State must do in order to take advantage of this statute. An issue that comes up with blood tests that doesn’t with breath tests regards chain of custody. Chain of custody essentially refers to everyone who had physical custody or control of your blood sample from the time it was drawn, to the time it was tested by the chemical analyst. To mention a few, this could include the nurse who performed the blood draw, the police officer who took possession of it from the nurse, the property control technician who stored the blood, and the chemical analyst who tested the blood sample. If done properly, each exchange of your blood sample should be recorded on a chain of custody statement with particularity. 2. Provide you with a copy of the chain of custody statement. 3. File the written objection at least five business days before your first trial date. If the State does its part in notifying you of its intent to use one of the reports discussed above and you fail to file the written objection in the appropriate manner, your right to confront witnesses granted to you under the Confrontation Clause will be deemed waived. If this is case, the State can move forward at your DUI trial with the chemical analysis’ affidavit, certified report, and chain of custody statement Additionally, you will not have the opportunity to cross-examine the creators of these documents. This ultimately means that the State will be able to tell the judge or jury the results of your breath or blood test, the most important piece of evidence against a you in a DUI trial, without any fight. If you have been charged with DUI in Mecklenburg County, North Carolina it is imperative that you contact a knowledgeable DUI attorney at Browning & Long, PLLC now at (980)207-3355 for your free, no obligation consultation. Waiting any longer will only further limit the rights granted to you under the United States Constitution.